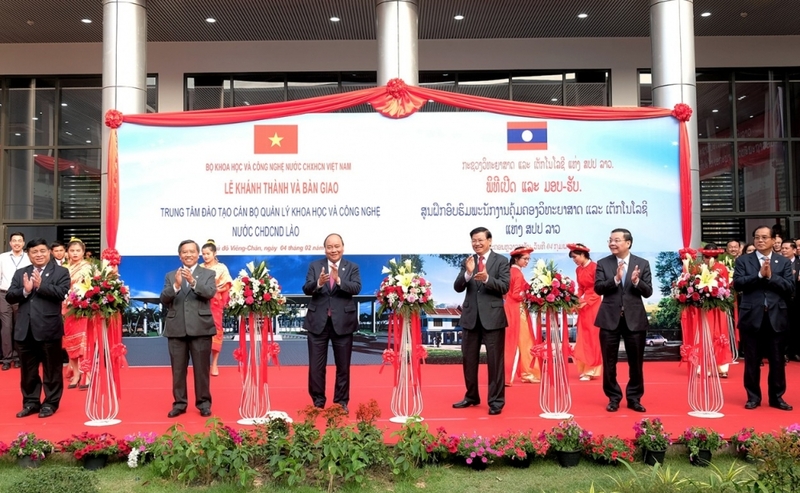 (VEN) - Laos has inaugurated a Vietnamese funded training center for science personnel, the latest development in the scientific and technological cooperation between the two neighbors. The first bilateral cooperation agreement on science and technology was signed on September 13, 1985, and was renewed on December 18, 2008 in Vientiane. Accordingly, the Vietnam-Laos Science and Technology Cooperation Committee has directed the implementation of projects pertaining to intellectual property protection, standards, measurement and quality, radiation and nuclear safety, biotechnology, new energy sources and remote sensing technology. The two sides have also organized regular training to enhance Laos’ scientific and technological management capacity. On February 4, a ceremony was held to inaugurate a scientific and technological human resources training center in Vientiane. Reflecting the importance of the project, the launch was attended by Prime Minister Nguyen Xuan Phuc and his Lao counterpart Thongloun Sisoulith. The Vietnam-funded center is a symbol of scientific and technological cooperation between the two countries. 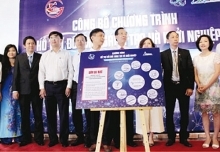 Vietnamese Minister of Science and Technology Chu Ngoc Anh said construction of the center began in September 2015 by the Vietnamese Ministry of Science and Technology following the 35th meeting of the inter-governmental committee for economic, cultural, educational, scientific and technological cooperation held in Vietnam’s Vinh Phuc Province on December 19, 2012. The center was built at a cost of over VND98 billion from the Vietnamese government’s ODA budget. It is capable of training 600-800 scientific managerial officials a year and provides a working place for 70 scientists and lecturers. “I am confident that the Lao Ministry of Science and Technology will manage and promote the effectiveness of the center, contributing to the improvement of the quality of the staff in charge of management, scientific research and technological development in Laos. The Vietnamese Ministry of Science and Technology, with its special responsibility and affection, will continue to closely coordinate with Laos on the center’s operation,” Chu Ngoc Anh said. The center’s first course will be devoted to creative innovation with the participation of 50 management officials from the Lao Ministry of Science and Technology, other ministries and sectors and businesses. Between 2012-2017, 308 Lao officials received short-term and long-term training in Vietnam. Lao Minister of Science and Technology Boviengkham Vongdara expressed his profound gratitude to the party, state and government of Vietnam for their assistance and support of the Lao people. He also thanked the Vietnamese Ministry of Science and Technology for its wholehearted assistance to his country’s scientific and technological development.